Hunters, get ready. Last week, the Utah Division of Wildlife Resources (UDWR) approved changes for the 2018 season that will make many hunters happy. 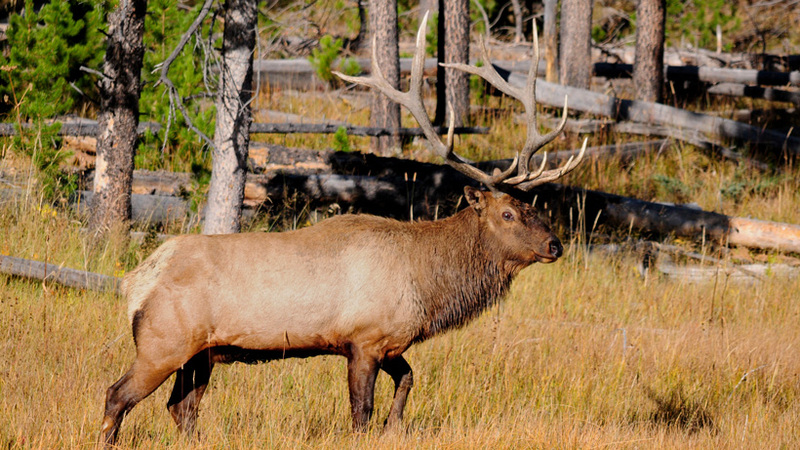 As goHUNT previously reported, the proposed changes will create additional opportunity for deer and elk as well as help reduce hunter crowding. The rifle buck deer hunt has been divided into two separate hunts: an early season hunt and a regular season hunt on the Kamas, Chalk Creek, East Canyon and Morgan/South Rich units in northern Utah, the Nine Mile unit in southeastern Utah, and the Fillmore, Fishlake, Pine Valley and Zion units in south-central and southwestern Utah. 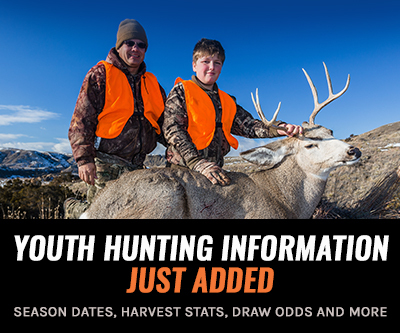 The early season hunt will be held Oct. 10 to 14. 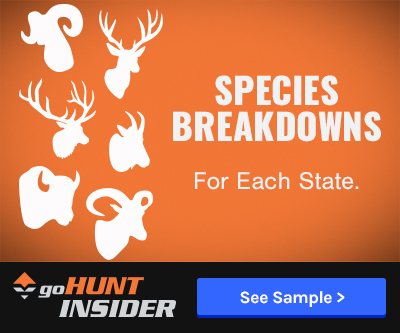 Hunters who purchase a multi-season elk hunting permit will now be able to hunt all three seasons (archery, rifle and muzzleloader) on spike only and any bull general elk hunting units. A special “cactus buck” hunt will be held on the Paunsaugunt premium limited entry unit in southwestern Utah. Cactus bucks are mature deer that do not reproduce; there is a small concentration of them in this unit. Jones says each change was made with careful consideration to how it affected big game management and hunter opportunity. In addition to the changes above, the Utah Wildlife Board also approved a late season limited entry muzzleloader buck deer hunt on 16 of the 29 proposed units. Yeah but check our season dates and length... we have the earliest general archery and it ends before the rut really kicks into gear. Muzzle and Rifle are right after the season calms but are only about 14 days each. Compare that to Montana with 6 weeks of archery and 5 weeks of rifle for one person! They definitely manage it to make the hunt harder to lower success rates due to the number of folks who hit the field. Anyways, my two cents, I would love to hear others thoughts as I do agree that this state out of all of the western hunting states the elk ratio (herd size) to the hunter (population) is quite low. @Jeremiah R. I think what Utah is seeing is that because of the above dates they are actually exceeding total herd size and not seeing a large enough of a harvest. Let me know if I missed something, I leave here so I'm always interested to hear other peoples thoughts. Utah is kind of facing an elk dilemma. The state is the 3rd fastest growing state in the US. The state wants to manage for trophy quality while providing opportunity for hunts. Someone will have to give at some point. This looks like a band aid on a tumor. Either Utah will have to open some the LE elk areas for general seasons or have bull elk as a OIL endeavor. I guess there will always be cow and spike hunting. @Curtis - We got a confirmation from one of the big game coordinators in Utah that a dedicated hunter can hunt both rifle seasons. Yep just the general deer are preference points. The LE/Premium LE are still tags given at a 50% preference with a 50% bonus. If it's only one tag though it's pure bonus based on points and they aren't squared like Nevada or Montana. @alexandre@brady , I thought only the general deer hunts were preference points and the limited entry were a combo of bonus and preference points giving one a random opportunity. Albeit a slim chance but mathematically able to draw a tag with no points. Repackage the same turd, now in 10 more flavors. How can we sell more hunts on the same resource, and disguise it as hunter opportunity. I really think that everyone ought to go back to the Idaho/New Mexico no points program and manage things correctly. I have points in a lot of states, and I am think the points have created a problem of simulated "owed" conspiracy theory. I have 5 or 6 points for most species in most western states. I am overseas and am not hunting until we move back in 2019 or 2020, but I feel like I have paid my way and should get to hunt at sometime. What Arizona and Utah did by not allowing people to draw a tier 2 or 3 tag and keep their points helps stop the number of guys that are still hunting and still drawing points. Of course all of the "owed tag conspiracy" is cowpatties and sunshine. You either draw a tag or you don't. No one owes you anything, unless you have a big enough piece of property to have landowner tags. This can only help people like me who are overseas, or not hunting because they can't afford to travel to hunt. Honestly I'd rather be hunting than buying points. Hey Curtis. We placed a call into UDWR earlier today and are waiting to hear back. We will let you know ASAP on what this will do for the dedicated hunter tags. Do you know how this will effect dedicated hunters? Will they have to choose one of the rifle hunts? @Jesse - Unfortunately creating draw odds for brand new hunts is pretty much impossible. That is predicting draw odds and would be very hard to do because no one knows how many people will jump to apply for these new hunts. Some people may have been building points and not applying, or have been applying for a different unit and would now want to apply for these new hunts. You could have 5,000 people apply or 50 people apply. Both would get draw odds that are drastically different (and is why you can't do odds until a year of draws has happened). So trying to predict draw odds is just giving out false information. @Alexandre - You are correct. Last season and now this season are going to be huge game changers in the points world in Utah. Last years' change was a big one. We do have the new draw odds completed and are working on getting the visual layout configured on the site. If you'd like to see odds for a certain unit, we'd be happy to pull custom odds for you in the meantime. Just send one of us an email and we will get it sent to you. ALL deer hunts in Utah are a draw based on preference points. Interesting this past year though they wiped your points whether you drew your 1st or 5th choice so I'm interested to see draw odds after this past year, I can only imagine a lot of points were wiped out for the general season draw. So being that these are new hunts, will there be draw odds?